If you actively send emails through your business GMail account it is a very wise decision to have a professional photo or head shot attached to your email. Every time a potential client, customer, business partner or patient receives an email they will see your face instead of the letters of your name or a generic grey shadow of a head. 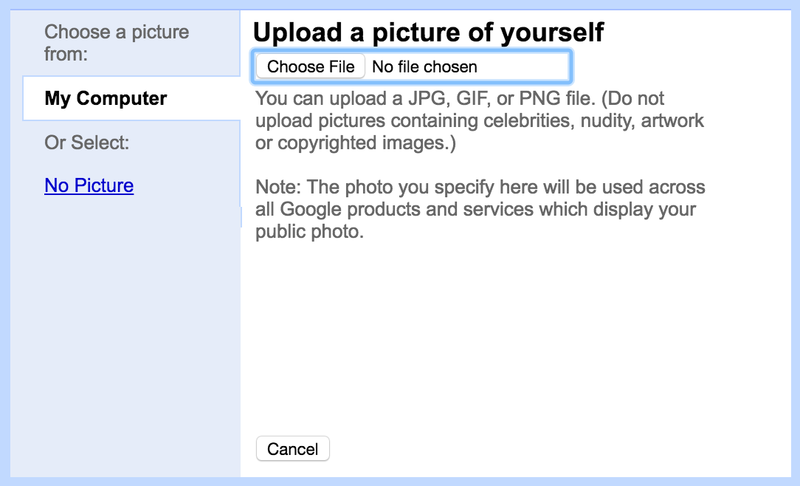 It is very easy to add a professional photo or head shot to a business GMail account. Here is how you do it. When you sign in to your business GMail, click the gear button on the upper right hand side of the browser. Click the “Settings” tab which should be the fourth option available below Configure Inbox. Scroll down to the middle of the “Settings” options and you will see an option for My Picture. Within this settings option you can choose to Select a Picture. It is important to understand that once the photo is uploaded it is already saved. You may not see it on the first few emails you send but it will show up within 24 hours. Note that you will need a photo that meets the proper size and file requirements. After playing around with the sizing of the picture, I can report that you will need to get the proper sized thumbnail to make the head shot fit. You may have to adjust the size of your professional image to get your entire face in the photo. Remember, every time someone gets an email from you, this is what they are going to see. It might be worth it to spend the money to have some professional photos taken for your website and your business email account. Home Improvement Coming to Netflix or Amazon Prime Video? | Is a Sesame Dental or Orthodontics Website WordPress? Can I Add Content?